THE BOOK: This book, perfect for children in grades 3 and 4, is comprised of characters who share the feelings and questions families face when dealing with the challenges of supporting a loved-one with Alzheimer’s disease and dementia. 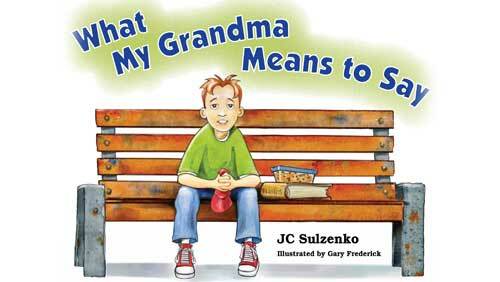 WHY KIDS WILL LOVE IT: The relationship between the boy and his grandma is one many children can relate to. The abundance of anecdotes and descriptive narrative provide ongoing reassurance for young readers. The main character, Jake, uses a conversational tone, creating a connection with the reader and a safe place for information and discussion about a sensitive topic. Children can relate to Jake, which builds trust and the strength to talk about what they’re feeling. The illustrations and the dialogue bring Jake to life, as well as his mother and grandmother, enabling children to reflect on their own experiences and family situations while reading the story. WHY GROWN UPS WILL LOVE IT: This is an intimate story about what children can experience when their grandparent is living with Alzheimer’s disease and dementia. 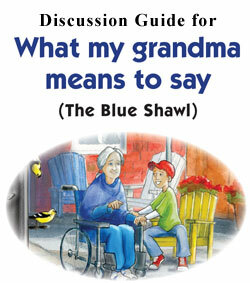 What My Grandma Means to Say encourages family discussion about the challenges associated with the care of a loved one. This story takes the reader on a journey with Jake through his experiences with his grandmother. This story concludes with a list of frequently asked questions to provide further information and guidance for readers. The current issue of Fifty-Five Plus Magazine at newsstands and on-line features a fine and sensitive review of JC Sulzenko’s book for children and families, “What My Grandma Means to Say.” Here is the link to the article: http://www.fifty-five-plus.com/intentional_grandparenting_-_grandma_and_dementia. In their column “Intentional Grandparenting, Peggy Edwards and Mary Jane Sterne agree with JC that when a grandparent or relative has dementia, it’s a family affair. “Since life expectancy is increasing and advanced age is the number one risk factor for Alzheimer’s disease, the number of people who have it will grow significantly in the coming years. This means more and more families will face such challenges. Three and sometimes four generations will be involved. Muma’s children who are all in their 60s are struggling with how best to cope, as are her grown-up grandchildren and their children—Muma’s great-grandchildren. Children, parents and grandparents will all benefit from increased understanding and open conversation about what everyone in the family is experiencing when a loved one has dementia. “JC is encouraging us to open the door and be brave enough to engage in a meaningful way with the children and grandchildren in our lives who are affected by dementia in the family. The book also provides answers to frequently asked questions and a list of sources for further information to assist families and children in learning about Alzheimer’s disease and related dementias. JC’s engaging interview with Open Book Ontario appears at www.openbookontario.com. The interview offers insights into JC’s writing process, with a focus on her play, “What My Grandma Means to Say” and how the book adaptation evolved from it to create the back story for Jake as Alzheimer’s changes relationships within his family. The interview also reveals some of the writing strategies JC uses in leading workshops for emerging writers of all ages. 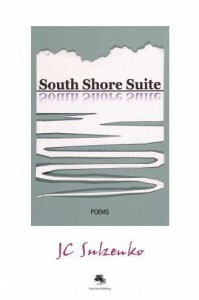 Thanks to Open Book Ontario for profiling JC and her work this way. Daytime, a talk show on Channel 22 in Ottawa featured an interview with JC on Monday February 6. The show aired from 11AM-12 noon, at 5:00 PM and at 11: 00 PM. Here’s the link to the interview: http://www.rogerstv.com/page.aspx?lid=237&rid=4&gid=90689. The co-hosts explored with JC how the new video of a performance of the play “What My Grandma Means to Say” by high school students for elementary school-aged children enables both age groups to discuss Alzheimer’s disease. To screen the new video of the play, see below. Dr. Atherley invited JC to come on his program after reading one of her articles in the national media about the importance of including children in family discussions when someone in that family is living with Alzheimer’s disease. So often, families find it very difficult to speak among themselves about what is happening to someone about whom they care. So often, the need of children to understand their place in such a situation is not given attention by health care providers. The discussion was far-ranging and included the important perspective offered by Kristen Irvine, a professional personal care worker who is very involved in supporting her own grandmother who is living with Alzheimer’s disease. Having education programs in schools that focus on Alzheimer’s and the use of “What My Grandma Means to Say” in training health care providers were some of the issues which arose during the discussion. At the site for the program is an e-mail address for comments on the broadcast which Dr. Atherley welcomes.